I can not wait until all of this snow melts and we can get in the pool again. This winter has been long and harsh here in Indianapolis. The sun peaked out the other day and I got inspired to shop for some new clothes for the kids for spring. 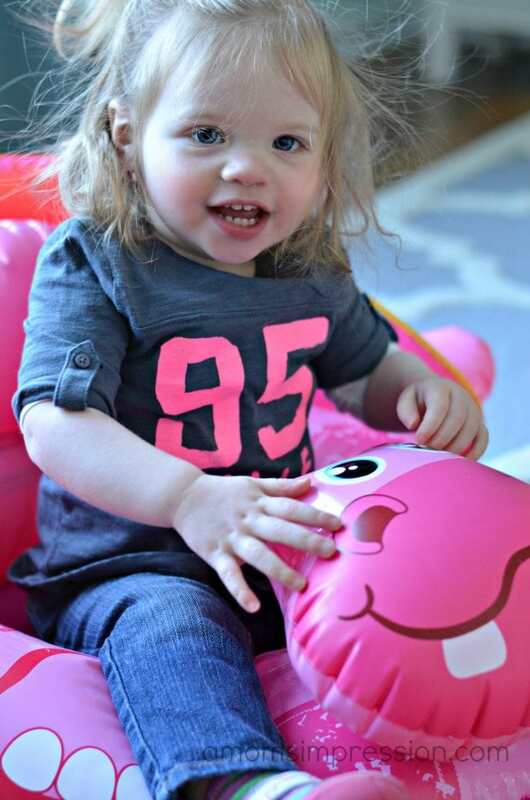 I headed to one of my favorite stores, OshKosh B’gosh, with a great coupon in my hand and found some amazing prices on baby girls clothes as well as some staple “soft pants” for my son. Caroline can wear this with a pair of skinny jeans or with some leggings during spring. It could even be an adorable dress with some white tights. I am so excited for her to wear it! 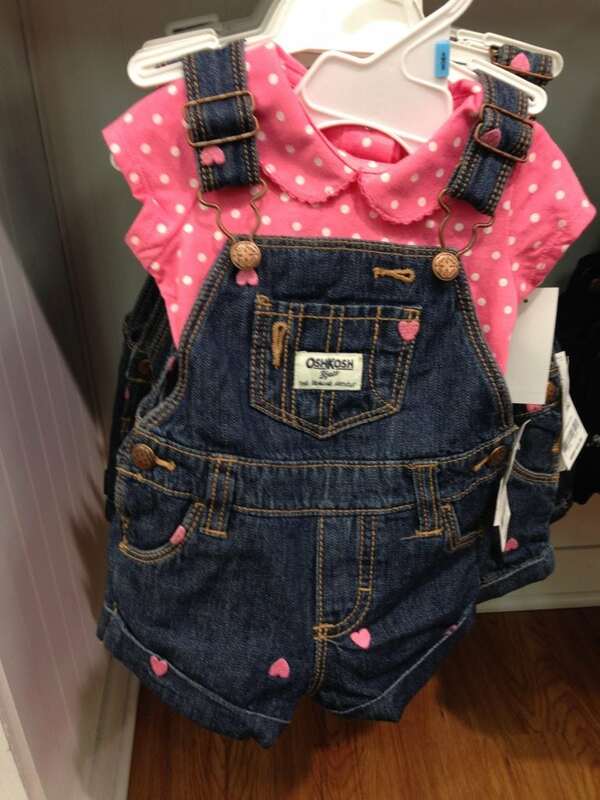 I had a hard time picking between this heart overall and the pink striped overall in the top photo. 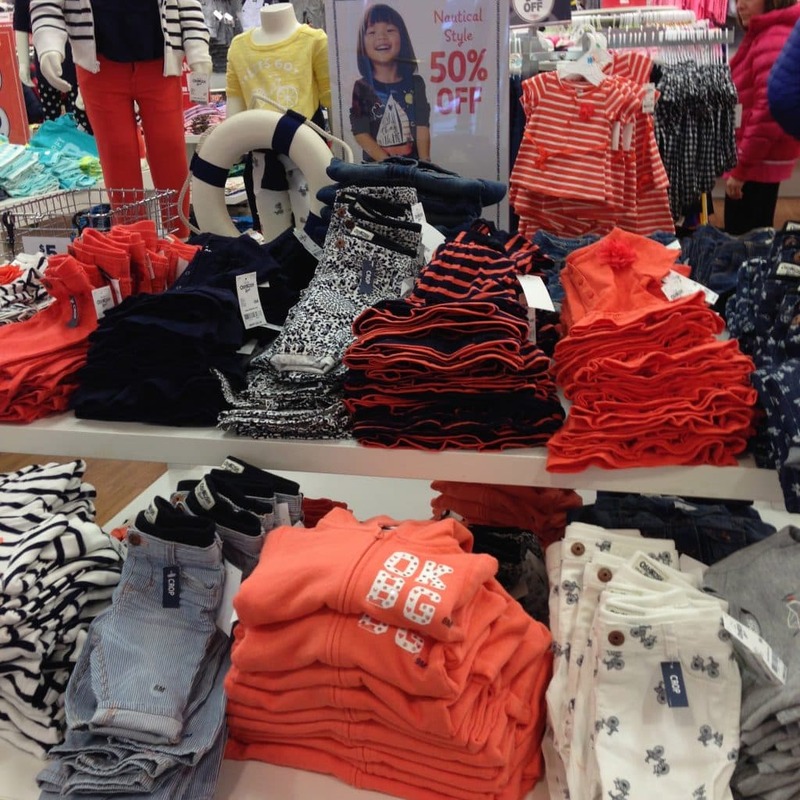 The new Baby B’gosh line has some adorable outfits for both little boys and little girls. The more I look at this photo the more I want to go back to the store and get this as well. I think I will because I scored some OshKosh B’gosh Bucks from my shopping trip that is burning a hole in my wallet! Caroline is practicing her floating skills in her new OshKosh B’gosh clothes! This outfit suits her everyday style as she follows her brother around everywhere trying to do all the things that he gets to do. What I love about the clothing that I found is that a lot of it could be dressy as well as casual. 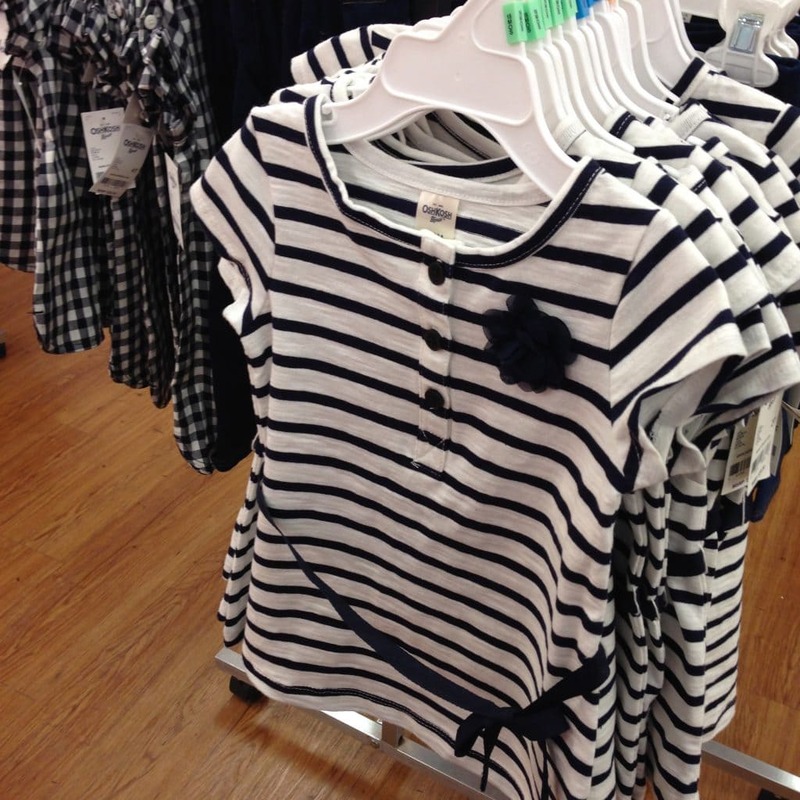 This amazing blue and white striped top could pair with a skirt for a dressy look. I paired it with some OshKosh B’gosh jeans for a more casual look. With the help of this 20% off coupon that you can print and use yourself, I got everything that you see pictured on the top photo for a little over $100. That is 7 bottoms and 8 tops! Not only that, but I got $20 in OshKosh B’gosh bucks to go back and shop with at a later time! Score one for mommy! While it may not feel like it outside, spring is right around the corner. 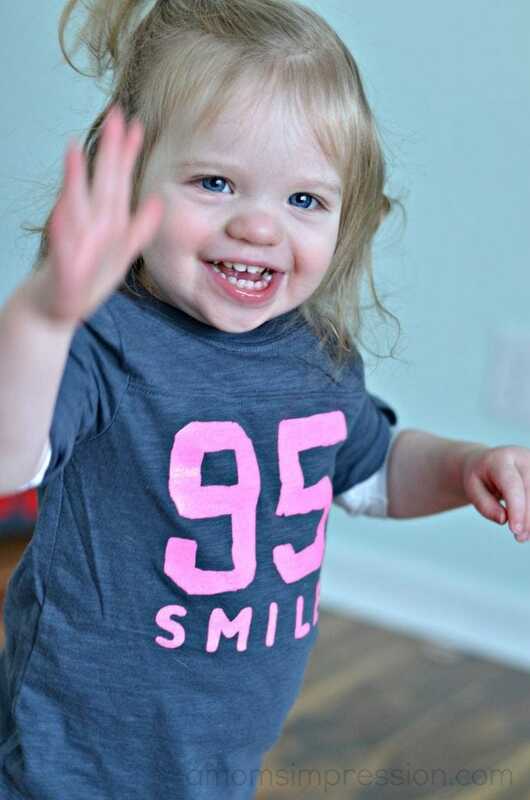 Head on over to OshKosh to get your kids ready for the warmer weather. Be sure to print off this coupon to save some extra moolah! « Create Custom Valentine’s Day Cards with Cardstore! She is adorable! 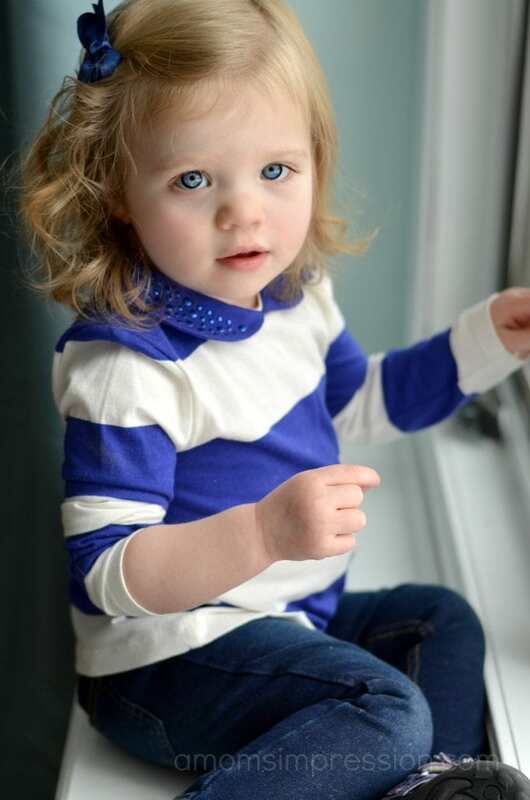 I love that blue and white striped top! I might have to go back and get it! I too love the coral and blues and stocked up on lots of it for my girls. And thanks for mentioning those B’gosh Bucks because I am so ready to go back and buy more stuff! Hehe.